Site speed is how quickly a website responds to web requests. Basically, it’s how long your website takes to load and it matters because it’s a signal that Google takes into consideration in it’s search ranking algorithms. So, how do you determine what a good load time is? How do you measure and know if your site is performing well or not? Page Speed – this tool started as an open-source browser extension. It will evaluate the performance of your various web pages and offer suggestions for areas of improvement. Page Speed Online – like the others, this one is quick and easy to use. 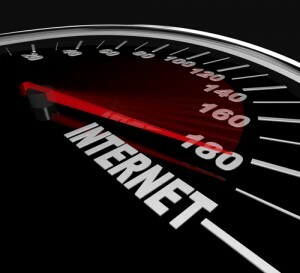 Page Speed Online will analyze the content of your web page and then generate suggestions to make that page faster. Why does page speed matter? For one, it’s a signal Google factors into their search ranking algorithms. While a good page speed doesn’t exactly improve performance, a poor page speed can negatively impact your rankings. But also, good page speed can lower bounce rates and improve user experience. The faster your site loads, the more likely someone is to spend more time on your site. So, how does your site stack up? And it is also in Google Analytics too! Please let me know as well. I need to speed mine up. Hi Ricardo! Great article! Thanks. I’m hoping the dsIDXpress team reads it as well! I know on my site there are some pretty small things that could be improved with the plugin to make it even faster than it is now!! (eg Some images have really short browser cache expiration times and they could sprite many of the images served up from diverse-cdn.com).Just my $0.02! I know our dsSearchAgent pages load extremely slow.